A brief (but beautifully-formed) in-house recording from a Saturday Workshops Ensemble class, Cecil Sharp House, London. This savage event was the last battle of the Napoleonic Wars. On that one day, some 47,000 died (not including prisoners and missing). 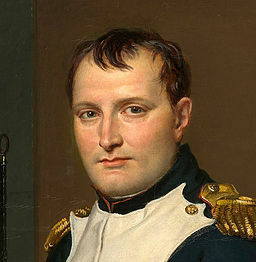 Just three years earlier, French Neoclassical painter David had painted a portrait of Napoléon Bonaparte, of which this is a detail. Tagged as banjo, Battle of Waterloo, box, Cecil Sharp House, concertina, fiddle, melodeon, the Battle of Waterloo, Travel By Steam.